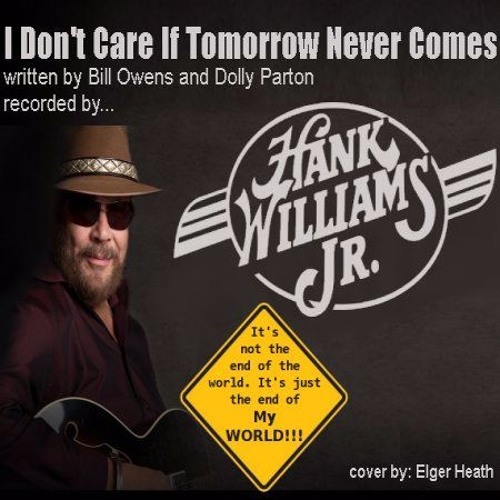 Originally written and recorded by Hank Williams Sr., this is the Hank Williams Jr. version who's lyrics were modified by Bill Owens and Dolly Parton. This is a classic country tune that is a favorite of most country music fans including me. It's short but sweet and the lyrics just can't be beat. Here's my attempt to cover Hank Williams Jr's 'I Don't Care If Tomorrow Ever Comes'. Hope you enjoy it.